Sometimes, the craving for a juicy burger is overpowering. When this happens, you need to get your hands on a juicy burger FAST! Luckily for you, Sarasota is home to some amazing burger joints. Check out some of the places nearby where you can satisfy your craving in no time. BurgerFi has been one of America’s most trusted burger establishments since 2011. This establishment is located all over the country, and they’re known for their quality beef and super fresh ingredients. This burger joint will have you coming back for seconds every time! “BurgerFi was recently voted #4 on Fast Casual’s 2017 Top 100 Movers & Shakers list, and ranked as one of the top 10 fastest and smartest-growing brands in franchising and a leader in the better burger category by Franchise Times in their Fast and Serious list for 2017.” So, you’re sure to get a meal that you won’t soon forget. When you stop by, try out their classic cheeseburger and fries and finish with one of their creamy custard shakes! Take a good look at their menu and decide what to treat your taste buds with during your visit. You won’t be disappointed! Patrick’s 1481 is one of Sarasota’s most prized burger places. This place is known for their city flare combined with amazing comfort food. The original owner, Jim Sullivan, has kept Patrick’s 1481 at the top of the charts for years. In fact, this establishment has received the vote for “Best Burger” for 29 years! Their comfortable, colorful dining room is dedicated to Sarasota’s local art scene. With their amazing menu and constant praise in the media, it’s hard to not consider stopping by this place when you are in the area. For a look at their menu, check out this link here. Click here for additional information about hours and parking. We’ll see you there! “It ain’t a Party until someone has a full belly!” Full Belly Stuffed Burgers is a family ran and operated business that’s devoted to getting each customer’s belly filled with delicious food! This restaurant serves gourmet style burgers that will have your mouth watering with each bite. When you stop by for a visit, you’ll find homemade hamburgers that are stuffed with various ingredients to perfection. They take pride in creating the most mouthwatering and unique recipes! For instance, stop by for breakfast to enjoy a burger stuffed with cheddar and a bacon fried egg! Take a look at their menu and discover all that this place has to offer. Interested in checking out their 4.5 out of 5-star review on Yelp? Click here. 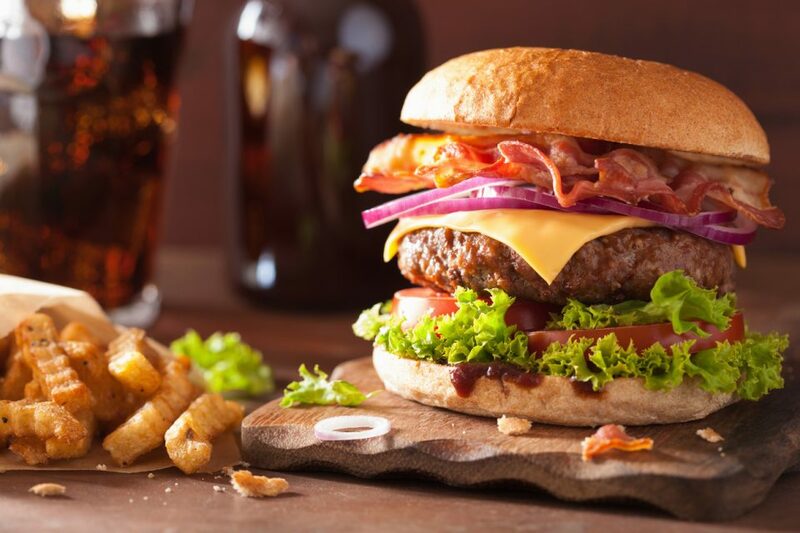 For an extended list of amazing burger establishments in the area, check out this link here. If you are looking for reliable transportation to get you and your family there safely, be sure to stop by Hendrick Honda Bradenton! Our dealership is located nearby in Bradenton, FL. We can’t wait to assist you with your new purchase!